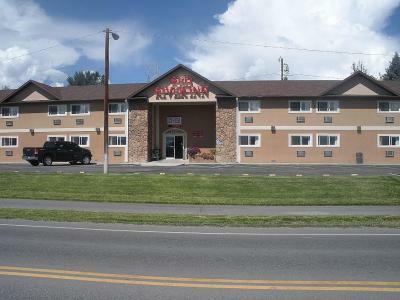 Lock in a great price for Red River Inn – rated 8.3 by recent guests! I am a Flight Attendant and stay in hotels more than I'm at home. This is a Gem! As clean as my home, wonderful staff! They provided a fair breakfast for the money, with fresh fruit, yogurt, toast and similar. The coffee was better than expected and the gentleman present at the desk came out and chatted with us in a friendly manner. We felt welcome there! Clean, comfortable, and homey feel away from home! Great place to just get away, and close to Rifle Falls, and Rifle Mountain State Park. It is a new favorite place to just escape for a weekend! An outstanding restaurant, Minors' Claim was recommended by the front desk. It turned out to be fantastic and well worth going to Silt if for no other reason. 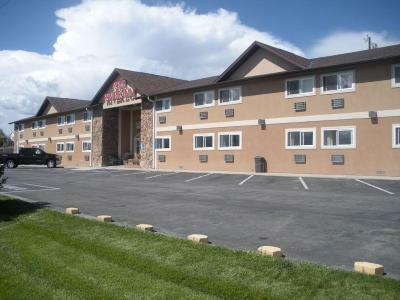 The town is conveniently located not far from Glenwood Springs and well within striking distance to Aspen. Just a good experience. Ran by nice people with a fair price. Got what I paid for! Continental Breakfast was a nice addition. Staff and other guests were very friendly. Very friendly staff. I had travel difficulties and they waived all fees for not being able to get there the first night. That's very considerate and gracious. Great room for the price. Staff was nice and helpful. Renovation of this hotel would be greatly appreciated! Restroom was clean and good. Kitchenette in the room was great! It was uncomfortable to walk on the floor. Bed could have been little more comfy. Rest all good , nice location! 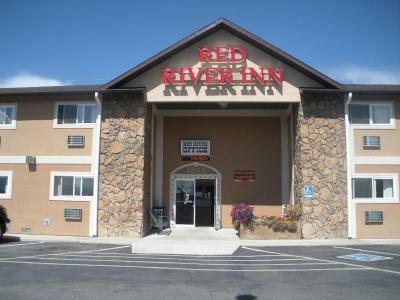 Red River Inn This rating is a reflection of how the property compares to the industry standard when it comes to price, facilities and services available. It's based on a self-evaluation by the property. Use this rating to help choose your stay! 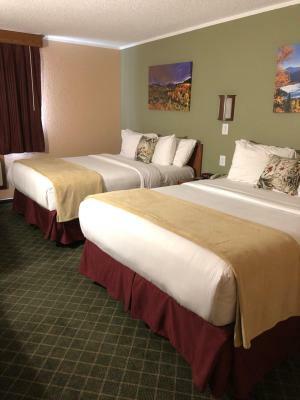 Featuring free Wi-Fi in all rooms, this Silt, Colorado inn is less than 20 miles from the famous Hot Springs in Glenwood Springs. A free continental breakfast is served to guests daily from 6 am to 9 am. 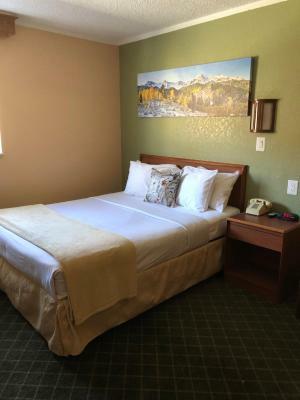 Each room provides cable TV, a mini-refrigerator and microwave at Red River Inn. A private entrance and HBO channels are also featured. A 24-hour front desk welcomes guests to Red River Inn. Hiking and cycling activities are nearby. White River National Forest is 80 miles from Red River Inn. Grand Mesa National Forest is 70 miles away. When would you like to stay at Red River Inn? With free Wi-Fi, this room has cable TV and a private bathroom. Offering free Wi-Fi, this room provides cable TV and an private bathroom. Rate based on two, can accommodate up to 4. House Rules Red River Inn takes special requests – add in the next step! Red River Inn accepts these cards and reserves the right to temporarily hold an amount prior to arrival. The staff was very accommodating. The neighbors were partying until late into the night, and we were able to hear everything through the relatively thin walls. However, as we were there to just get away and were up late anyways, it wasn't a big deal. Yogurt at breakfast could have been nice, but I brought my own. The continental breakfast was otherwise OK with good coffee and orange juice. I liked the cat hanging out by the stairs. The night staff was smoking when I got there and took me a little bit to check in.